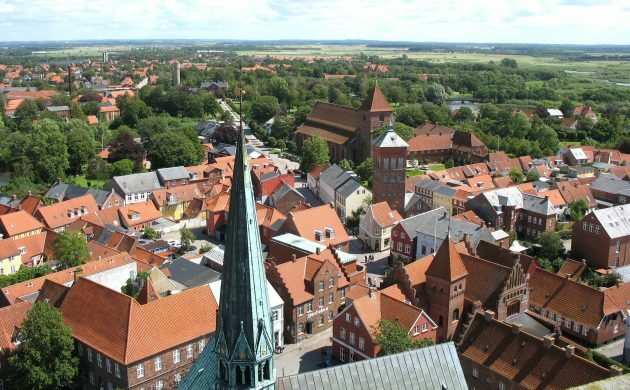 Danish archaeologists have today started extensive excavation works in a field near Ribe in south Jutland where three amateur archaeologists uncovered Denmark’s largest gold treasure from the Viking era earlier this year. On October 30, one of the amateur archaeologists found yet another golden artefact in the field: a broken pendant representing the upper part of Thor’s hammer. The pendant has been dated to around 950, and it is believed it was attached to a chain that was found in 1911. “It is of such a fine quality – unparalleled to anything we have found in Scandinavia,” Bo Ejstrud, the head of Sønderskov Museum, told Kristeligt Dagblade. According to Ejstrud, the large amount of golden and silver objects uncovered at the site suggests that it used to be a very wealthy settlement. In June, three amateur archaeologists found seven 10th century arm bangles in the field between Fæsted and Harreby. Six of the bangles were made of gold and the other of silver, and their total weight was about 900 grams. All the new-found jewel artefacts, which are currently being stored at Sønderskov Museum, will eventually be transferred to the National Museum in Copenhagen.